There is a general consensus among political sociologists that for any major decision in international affairs, there are going to be extreme, yet disparate reactions from the international community. Big or small, far or near, each nation is forced to react, a fact only made more apparent when that decision is announced by a major country, such as the United States. Nowhere has this been more apparent than in President Trump’s recent decision to withdraw from the JCPOA, (more commonly known as the Iran Nuclear agreement), a move that sparked a widespread reaction in the Gulf, Iran and elsewhere. 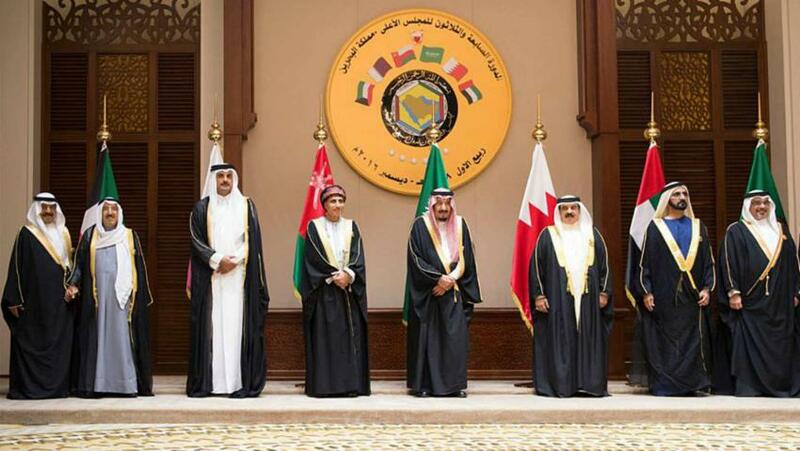 Naturally, given the Arab Gulf’s proximity to Iran, the GCC states have a strong reason to care about the withdrawal’s political, economic, social and military repercussions. During his 2016 presidential election campaign, U.S. President Donald Trump repeatedly said that the JCPOA is a flawed deal and promised to review it. Analysts posited two options for this: the U.S. could pull out of the nuclear deal, or the U.S. could stay in the deal with minor amendments. Some commentators, however, suggested that the U.S. Administration was not serious about withdrawing from the international deal, especially given the strong opposition from the US’s key European partners, namely Germany, France and Britain. Some non-western analysts argued that there would be difficulties in withdrawing, simply because other alternatives were unclear or unavailable. However, on May 8, 2018, President Trump announced that his country would be withdrawing from the deal and implementing a regime of progressively stricter economic sanctions on Iran, (Phase I will start on August 6th and Phase II starts from November 4, 2018). The announcement stressed that the U.S. will impose economic sanctions on any country or company dealing with Iran after the aforementioned date. This decision was made despite visits by several European heads of State prior to the White House’s announcement,  each of whom had tried to dissuade the U.S. administration from taking such a drastic measure. Previous visits by European foreign ministers  to Iran also sought options to keep the United States at the heart of the deal by negotiating additional amendments that might be acceptable to Tehran. Iran’s reading of the U.S. approach as a simple “maneuver,” was highly miscalculated, and Tehran’s assumption that intervention by Western countries would prevent the United States from pulling out of the deal proved to be a losing bet. The details of the U.S. decision came thirteen days later. 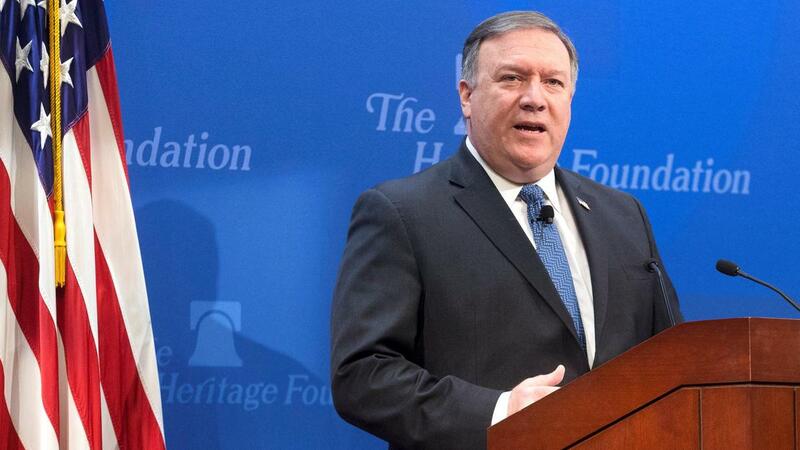 On May 21st, the U.S. Administration’s conditions for resuming negotiations with Iran were announced by US Secretary of State Mike Pompeo in a speech at the Heritage Foundation in Washington, DC. Of those that stood out, were conditions requiring Iran to curtail its ballistic missile program, as well as the possibility for negotiating an end to Iran’s activities throughout the region. These broad conditions refer to the policy oversights Washington believes were missed by the JCPOA’s original P5+1 negotiators. As expected, international and Arab media quickly reacted to these conditions. Some supporters of Iran see the conditions as impossible to be realized. Others say they are objective, and that the programmed escalation of severity will begin to “change the Iranian regime.” In the same address, Secretary Pompeo said that the United States would send specialized teams to its allies clarifying the policy of the US administration towards Iran, hoping to convince the international community of the destructive role it believes Iran is playing in the region. He added that if Iran does not change its path, the sanctions will only intensify. This last announcement is an echo of an earlier statement by President Trump, signaling that Iran should not take threats of an unprecedented economic blockade as simple posturing. Immediately after the announcements on May 8 and 21, Western companies, in anticipation of future risk, began withdrawing from the Iranian market. Some nations, which had tried to find a compromise between the U.S. and Iran, nonetheless found themselves inclined to align with Mr. Trump’s decision, a result of the long-term risks caused by Iran to their interests, or simply because there are too many economic and political benefits for remaining in alignment with the United States. This gradual drifting towards the U.S. position by the international community can be seen in a statement by Angela Merkel during her visit to Jordan where she revealed a shared concern regarding Iran’s ballistic missiles program and its role in Syria and Yemen. On May 24, three days after the U.S. conditions were announced, Iran’s Supreme Leader Ali Khamenei put forward a number of conditions pressuring European countries to keep Iran within the nuclear deal. Again, Iran has undertaken an inaccurate reading of the situation, underestimating, or perhaps willfully ignoring the extent to which European countries must work with the U.S. He called on European countries to provide guarantees for the continuation of the nuclear deal, protection for Iranian oil sales from American sanctions, continued purchasing of Iranian oil and a commitment to exclude Iran’s ballistic missile program or Iran’s activity in the Middle East as negotiating pawns. Additionally, he demanded European banks protect business dealings with Iran, noting that Tehran does not want to enter conflict with the three European parties to the nuclear deal. It is clear from this haughty response that these conditions are less centered in reality, and mostly positioned as a sardonic rhetorical response to Pompeo’s initial demands. The Supreme Leader did not even mention Yemen, an omission that would have had to have been deliberate. 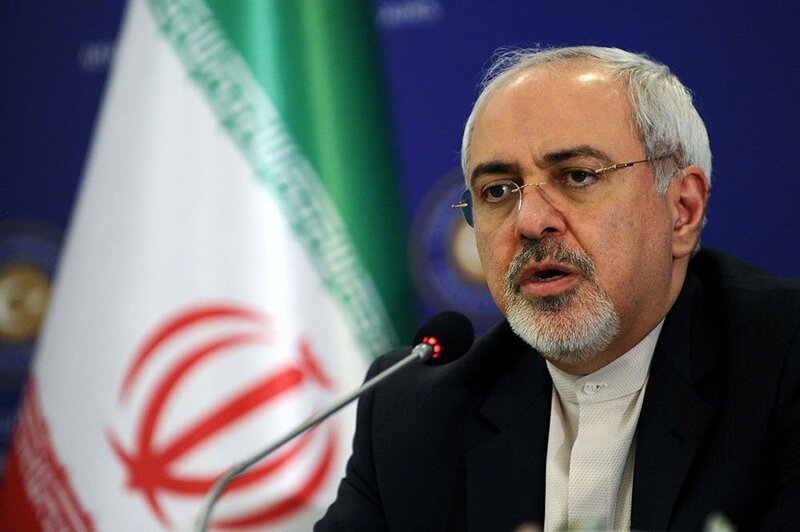 Moreover, the detailed Iranian response was in a lengthy article by Iranian Foreign Minister Javad Zarif, published on Thursday, June 21st listing 15 points, demanding the US to respect what he described as “Iran’s independence” by honoring international law. It is clear from the American conditions and the Iranian counter-conditions that the two nations are on a path towards collision. Despite the Iranian demands seemingly stemming from an unjustified national pride, they appear intended to win local public opinion by characterizing their position a historical vendetta dating back to the Mossadeq era of the mid-20th century. The Iranian response made no attempt to justify the presence of its forces in Iraq and Syria, nor its support for Iran-allied forces in Lebanon and Yemen, never mind any acknowledgment that Iran may also be trying to manipulate the domestic conditions of other countries in the Gulf. It is because of Iran’s involvements that the possibility of an eventual clash is always lingering in the background. At first glance, a “hot direct war” might seem unlikely, at least in the next few months. As for an economic war, however, some may say one has already started, beginning with the oil and financial sectors. The new American sanctions almost guarantee an extreme decrease in the sale or purchase of Iranian oil. Additionally, the international banking system will gradually narrow its dealings with Iran, altogether barring exchanges involving Iranian currency. The Iranian Riyal will be the first victim, which has already been facing a decline in its value due to inflation and overall economic destitution. Furthermore, sanctions will target the Iranian military forces, especially the Islamic Revolutionary Guard Corps, (IRGC). It is also possible to launch a war of regime destabilization, as happened recently when unflattering information about huge financial bonuses for current Iranian officials was leaked, sparking a wide outrage among Iranians. This may not be an isolated incident as the US undoubtedly retains similarly volatile secrets. Meanwhile, there is mounting pressure on the presence of Iranian military forces in Syria due to an Israeli-Russian-American effort to push them from Israeli and Jordanian borders. Among the issues of Iranian propaganda that have long plagued Arab society are those involving the Palestinian cause. For various reasons, including shortcomings in Arab collective awareness, Iran has managed to ride the issue from two different angles: propaganda showing Iran resisting Israel, and propaganda showing Iran supporting some Palestinian political powers. One of the indirect results of the U.S. withdrawal from the nuclear deal is the exposure of Iran’s faux “resistance and liberation of Palestine” stance, which was nullified after the painful blows from Israeli air force on Iranian military targets in Syria. Those forces responded with rockets that did not pass the Golan Heights, many falling in the open air. At the same time, Hezbollah did not act in retaliation in Lebanon despite the clear threat against its leaders. It is clear from the course of events that Iran’s presence in Syria will not provoke Israel, and any provocation would not be allowed by Russia, the dominant actor in Syria’s decision making. Hence, we are at the end of claims that deceived many, as it appears Iran is not likely to enter a direct conflict with Israel. Nor is Israel likely to risk Tel Aviv or Haifa being targeted because of activities in Damascus or Hama. There is an unannounced consensus sponsored by the Russians, and perhaps the Americans, that confirms the analysis that the “Palestinian argument” is about to expire. The neighboring countries will also have something to do in this “clash”. For example, Turkey has close economic ties with Iran, however, its international treaties with the U.S. will undoubtedly affect the Turkish-Iranian economic relationship. The sanctions on Iran will increase Turkey’s energy import bill and decrease the value of the Turkish lira. In 2012, the volume of Turkish-Iranian trade reached an unprecedented $14 billion, but later declined. Because of previous sanctions, Iran used to replace its funds in Turkey with gold, selling it in nearby markets in order to replace it with foreign, unsanctioned currencies. “Tukey will continue trading with Iran as much as possible, and we will not answer to anyone in this issue,” said Turkey’s Minister of Economy. Besides the Turkish-Iranian economic interests, there is also a consensus on Syria. Turkey may respond relatively positively to the reinstated American sanctions, but that depends largely on what incentives the United States offers Turkey. For two reasons, it is likely that the GCC States will respond supportively to the U.S. sanctions: historical friendliness with the United States, and an inability to breach the U.S. sanctions applied to companies or nations dealing with Iran. Among the GCC States, the UAE, especially the emirate of Dubai, has a large economic relationship with Iran totaling 11 billion dollars (2017), a huge amount of which are re-exports. Here emerges the tension between “economic partnership and political rivalry,” one that must be resolved before the boycott deadline. On the other hand, the trade relationship between Iran and Qatar has grown in recent years, especially in foodstuffs and agricultural crops. Qatar has used Iranian airspace on some of its national airline flights. Iran and Qatar share the largest natural gas field in the world which is operated by international companies. The rest of GCC States have a relatively modest trade exchange. In light of the severing of relations between Riyadh and Tehran, which was announced in January 2016, Iranian economic relations with Saudi Arabia and Bahrain deteriorated, and declined with Kuwait and Oman. Given the uncertainty over which of these scenarios will play out, an obvious question arises, “Where to Next?” A potential conflict could develop at the end of the warning period, first taking the form of American pressure on the Iranian interior, attempting to disintegrate the regime by leaking harmful information about corruption amongst the nation’s ruling elite. The conflict may escalate to just below a “public hot war”. Iran may try to neutralize the largest number of important countries from the sanctions, especially Russia and China, and some other countries. It will also use it proxy groups in some Arab countries, such as Hezbollah in Lebanon and the Houthis in Yemen, to propagate Iranian influence, and will intervene even more in Iraq and Syria. Iran would use those cards to negotiate but will not provoke the world on some issues, namely re-enriching Uranium (as it threatened) or harassing Israeli borders. Those two cards would bring about direct, and perhaps violent, clashes. The whole scenario will be a stealthy maneuver and will depend on the ability of the United States to convince the likes of China, Russia, and Europe to impose sanctions as a united front. If an armed conflict erupts, then the battlefield will be the land, sea, and air around the GCC states. The events of 1953 in Iran were the story of a failure of the American-British intelligence. Mullahs mobilized the public against what they believed that Mossadiq would turn Iran into a communist country. The public revolted and Mossadiq government failed. Shah Mohamed Reza came back from exile and governed for 25 years. In that period, he signed with a Western oil consortium for the exploitation of Iranian oil. Historians wonder that the fall of the Shah in 1979 coincided with the termination of the privilege. This includes the Kingdom of Bahrain and the Eastern Province of Saudi Arabia. Kuwaiti Al-Jarida Newspaper published a front-page headline on Saturday (June 23rd) saying “financial scandals shake the pillars of the Tehran regime,” (http://www.aljarida.com/articles/1529690596740612700/). 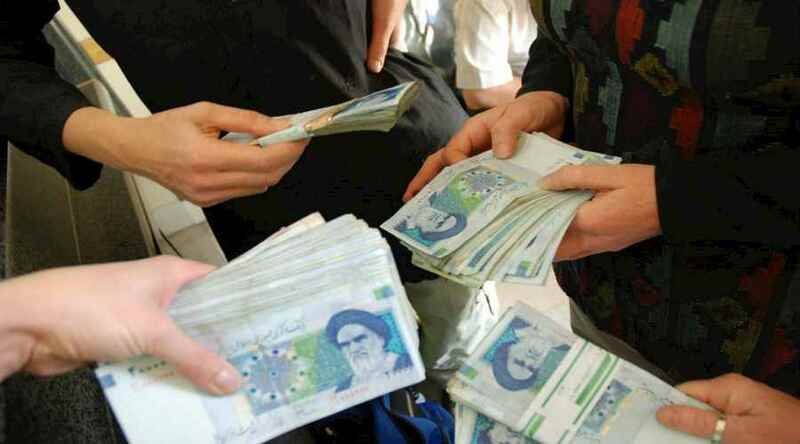 In the details, and according to the Treasury Secretary, there are Iranian regime officials who have 148 billion US dollars in the United States smuggled from Iranian people’s wealth. Such as saying that Arab countries were unable to defeat Israel while Lebanese Hezbollah with the help of Iran were able to do so. This is controversial! A statement by Hassan Nasrallah, Secretary General of Hezbollah after striking Iranian military targets in Syria saying that “there will be a retaliation for that action”. Ibid, Iran replaces the gold, which receives from its oil exports in Turkey, in UAE markets. It was recently allowed to sell US F-35 jets to Turkey, and it was also agreed over more extended Turkish role in Syria. The announcement of severing ties which was announced by Adil Al-Jubair, Saudi Foreign Minister in the beginning of January 2016 (https://www.cnn.com/2016/01/03/middleeast/saudi-arabia-executes-dozens-terror/index.html) after setting fire on the Saudi Embassy in Tehran and Saudi Consulate in Mashhad in January 2, 2016 by Iranian angry protesters. This was followed by pulling out GCC ambassadors and reducing diplomatic relations.